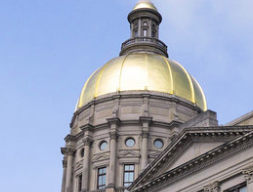 As the state of Georgia continues to work towards further cementing itself as a hub for the entertainment business, Rep. Erica Thomas (D-39) has announced plans to co-chair the newly-created Entertainment Caucus in the Georgia House of Representatives. Catherine Brewton, vp creative at BMI, will also serve as co-chair. So far, the caucus is set to include Warner Bros. Records Senior Vice President A&R Ray Daniels, Atlanta music veteran Chaka Zulu, 21 Savage co-manager Kei Henderson and producer Sean “The Pen” Garrett, among others. Brewton, who was tapped with selecting members for the caucus, says she is hoping to add an influential member of the film and TV industry to the caucus soon.